If you are unable to travel to the game in Melbourne, please come down to the District Park Tennis Club in Broadmeadow and watch the game LIVE. The Tenzo is now our permanent venue for both home AND away Newcastle Jets fixtures. If you are unable to travel to the game in Sydney, please come down to the District Park Tennis Club in Broadmeadow and watch the game LIVE. The Tenzo is now our permanent venue for both home AND away Newcastle Jets fixtures. After the success of the coach service for the Newcastle Jets opening away game, The Squadron FSC has booked another coach service to Allianz Stadium on the Saturday 30th November for any supporters who want to make the trip down the F3 and help pack out the away bays again. 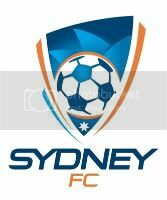 Bookings are now open for the Round 8 fixture against Sydney FC at Allianz Stadium on Saturday 30th November 2013. Kick-off is at 7:30pm. You can purchase your tickets by calling Sid Foggs on 4928 1088 Mon – Fri 9am – 5pm and Sat 9am – 12pm. You can also purchase in person at Sid Foggs Travel, Gallery Level at Stockland Jesmond. Coaches will depart from Sid Foggs Coaches Depot at Fullerton Cove at 3:15pm. The coaches will then pick up at Hunter Stadium car park at 4pm, Charlestown at 4:10pm, Belmont at 420pm and Swansea at 430pm. Please confirm pickup address with Sid Foggs when purchasing your tickets, and be at pickup points 20 minutes before scheduled departure time. Coaches will depart 20 minutes after fulltime for the return trip to Newcastle. This service is for all Jets supporters and especially for families and younger supporters who want to attend an away game but don’t wish to travel by public transport and want a direct service to the stadium. Prices for this trip will be $25 per seat or a special family price of $90 (two adults and two children or one adult and three children). Those paying by credit card will attract a 2% non-refundable fee. These prices are for return coach travel only and do not include a match ticket. All patrons are strongly advised to purchase their match tickets prior to booking on the coach. Please be advised that smoking and alcohol will not be permitted on board Sid Foggs coaches. A minimum number of bookings are required to ensure each service goes ahead. Those wishing to use this coach service are urged to purchase their tickets as soon as possible. A decision will be made by 12pm Tuesday November 26th as to whether the minimum number of seats have been sold. If the service is cancelled, customers will be notified and purchases will be refunded (except credit card fees). The coach service is booked by The Squadron on behalf of all Newcastle Jets supporters with Sid Foggs Coaches. Hunter Sports Group/Newcastle Jets FC have no involvement aside from promoting the service to its Members. Any enquiries for these coach services need to be directed to Sid Foggs Coaches on the above number.